Bishops | Can I Write Someone Out of My Will? When people have a family member who is estranged, they often ask whether it’s possible to leave them out of their Will. The short answer is yes, you can! After all, you’re the one who has control over how and to whom your Estate (your assets and belongings) is distributed. 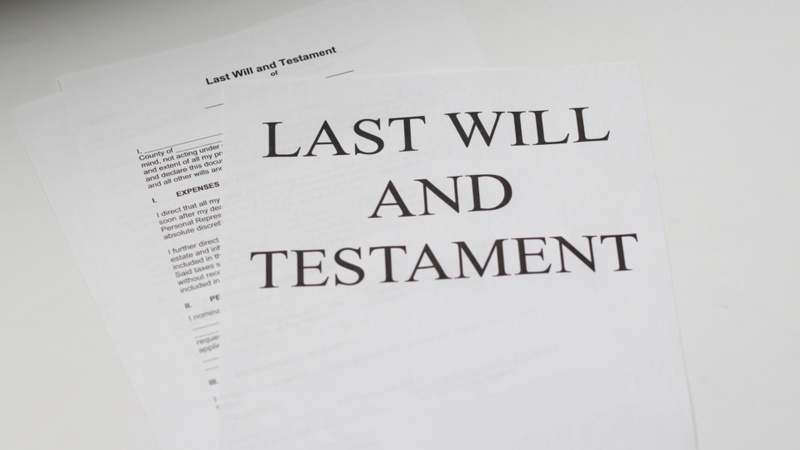 The long answer, however, is even though you can write someone out of your Will, doing so may increase the risk that they will “challenge” your Estate via a Testator’s Family Maintenance Claim. So What is a Testators Family Maintenance Claim? A TFM Claim (that’s lawyer lingo for a Testator’s Family Maintenance Claim) is essentially an application made in the Supreme Court by someone who believes they have been left “without adequate provision for their proper ‘support and maintenance’” (more lawyer lingo for a larger share of the Estate) than what they’ve been provided for under the Will. How Does the Court Decide if a Claim is Valid? So – one of these people makes an application for a TFM Claim. What next? The general rule here is ‘how much is there to go around’? If the Estate is larger (say $500,000 and above) the Court is likely to be more willing to support a TFM Claim as there is more of the Estate to share. If the Estate is a small one (say $250,000 or less) the Court may need more convincing to depart from the Deceased’s wishes! The more wealth the Applicant (more lawyer speak for “the person bringing the TFM claim”) has, the less likely their claim will be successful. The principle here is that a wealthy Applicant may not be able to prove they have been left “without adequate provision”. After all, if an individual has a well-paying job, some investment properties and little debt, the Court might understandably question why they deserve support from the Deceased’s Estate! On the other hand, if the Applicant is on government benefits and has several children to support, a Court may determine that the Applicant needs support from the Deceased’s Estate. If the Applicant is physically or mentally debilitated in some way, the Court might conclude that they’re more likely to need support from the Deceased’s Estate. Over the years, the Court has favoured Applicants who have shown a strong relationship with, or who have cared for, the Deceased. The underlying principle here is: why should someone make provision for a person in their Will who they hardly know? That’s why someone who is estranged from the Deceased will have greater difficulty bringing a TFM Claim. However, this shouldn’t be the only deciding factor when choosing whether or not to leave someone out of your Will. The Court will consider all of the circumstances, not just the strength of the relationship. Here’s an example: consider an estranged daughter who is written out of the Will but suffers from terminal cancer. The Court may determine that her need for support because of her illness outweighs the estrangement. Giving the Applicant a greater share of the Estate means that other beneficiaries will probably get less – that’s just math! So when deciding if further provision should be given to the Applicant, the Court balances the needs of the Applicant with the needs of others. Those could be beneficiaries named in the Will, and/or other individuals who may be eligible to bring their own TFM. For example, the Court is less likely to alter a Will for the benefit of an Applicant if there is another beneficiary who needs provision for maintenance and support in their own right (whether due to their health, financial circumstances etc.). What Can be Done to Prevent a Claim? There is no sure-fire way to make your Will TFM-Claim-proof™. Even a person with the slightest of prospects can, if eligible, bring a TFM Claim. However, there are some strategies you can try to decrease the likelihood of a TFM Claim being successful. Firstly, you can specify in the Will itself, or in an Annexure to the Will, the reason why nothing has been given to someone. For instance, “I give to my son the sum of $1,000.00 only on the basis that he is estranged from me and I have not seen him in 10 years”. This may be used as evidence to show that the relationship was a weak one. As a side note, if you “accidentally” reveal such a Clause to your children or family member, you may just find them dropping over for dinner more often! Secondly, you can explain to your Executors the reason why someone has been left out of your Will or is receiving a smaller gift. You could even go one step better and sign and date a statement saying the reasons behind the provisions of your Will. This will provide your Executors with evidence to assist them in defending the TFM Claim. One preventative measure is to give a person a small gift, rather than leave them out completely. Firstly, they might be less likely to bring a TFM Claim in the first place if they have received something. Secondly, if the matter went to Court, the Judge might consider the fact that the person has received some form of support and maintenance from the Will (even if small), as a circumstance detrimental to the TFM Claim. At the end of the day, you need to carefully consider the decision to leave someone out of your Will. We probably wouldn’t recommend leaving out your brother because twenty-something years ago he took that last leg of Christmas Turkey you were eyeing off, or writing out your daughter because at the ripe age of 96 she suggested you were ‘getting on’ and needed to be placed in a home. Ask yourself: is the person you want to leave out of your Will in need, or will be in need, of financial assistance? Do you have a close relationship? Have they emotionally or financially supported you in your lifetime? If the answer to these questions is ‘yes’, then that person may have greater cause to be named in your Will, and may have a stronger TFM claim if they’re left out. If you’re still with me at the conclusion, then my summary is this: Yes, you can leave somewhere out of your Will. But do so with caution. Whilst you may be gone, it is your family and friends who have the responsibility of resolving the issues of your Will, and this isn’t easy when they are grieving.